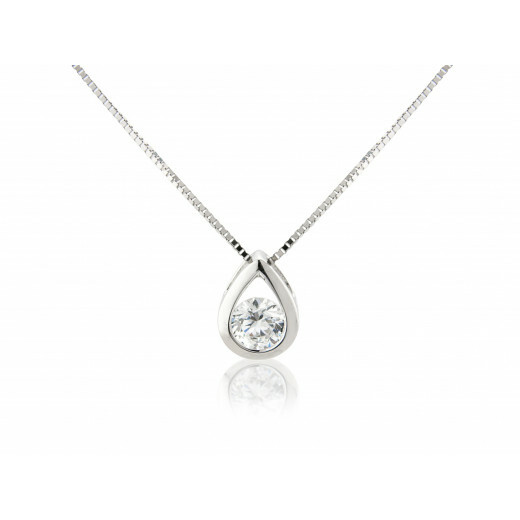 White Gold teardrop shaped Pendant Necklace with round Cubic Zirconia’s. If you love the bright, polished style of white metal and stones, then this Pendant are a must for your jewellery collection. 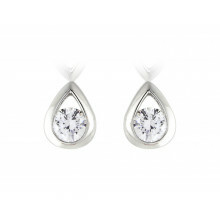 Neat and sweet for every day wear with just enough sparkle for evening too.